Vancouver Island is a three or four hour trek by road and ferry from Seattle on the Black Ball Ferry Line in Port Angeles. 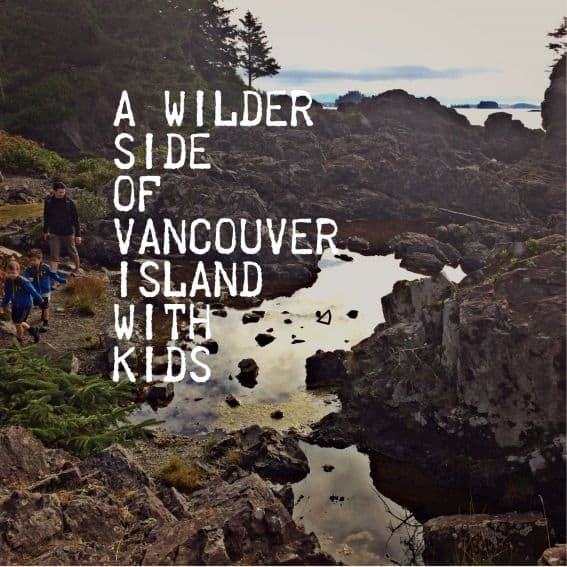 It’s a magical trip with kids that is often spent in Victoria, sipping tea at the Empress, wandering the famous Butchart Gardens, strolling the boardwalk looking for coffee or poutine, and feeding goats at Beacon Hill. While that is a lovely trip all in itself, Vancouver Island has a lot more rugged adventure to offer. 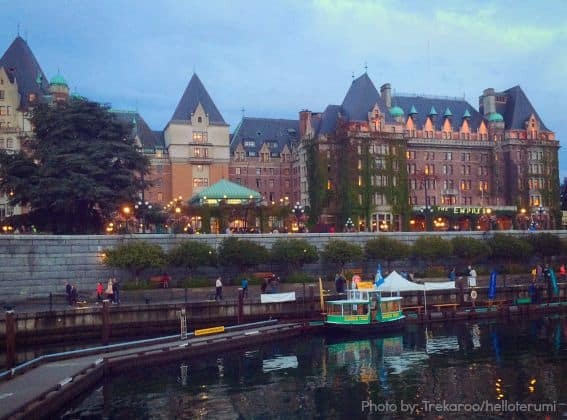 Start in Victoria and head north to Parksville, or drive up from Seattle, cross the Canadian border by land, and take the Tsawwassen Ferry to Nanaimo, home of an amazing Canadian delicacy known as a Nanaimo bar. On the ferry, get the trip started with an iconic Canadian kids’ meal from the cafeteria -a White Spot Pirate Pack with a signature gold coin that to munch while looking for whales from the table. A great stay for this type of adventure happens at the Tigh-Na-Mara Resort in Parksville about a 30-minute drive from the Nanaimo ferry terminal where the comfortable two bedroom rustic cabins are most popular for families, and the beaches have low tides that stretch for miles. When you’ve had your fill of hanging out at the beach, grab some groceries at Coombs Market and look for goats munching grass on the rooftops. Spelunk in the nearby Horne Lake Caves and get awestruck by some of the oldest trees in the world at Cathedral Grove. There are also amazing biking and hiking trails in this area at Rathtrevor Park and locals recommend Top Bridge Park for its suspension bridge and swimming holes. Beach Front Park in Quallicum Beach and Parksville Community Park are great beaches for families too. If you have a few more days or maybe a week your trip can get even wilder still. Tofino, on the northern coast of Vancouver Island, is awe-inspiring and about two hours northwest of Parskville. Here is where visitors truly find Northwest paradise with waves that journey from far across the Pacific to crash on rocky shores, where sandy beaches beckon little hands to create castles to their hearts content, and boat tours take guests fishing, whale watching, and looking for bears. 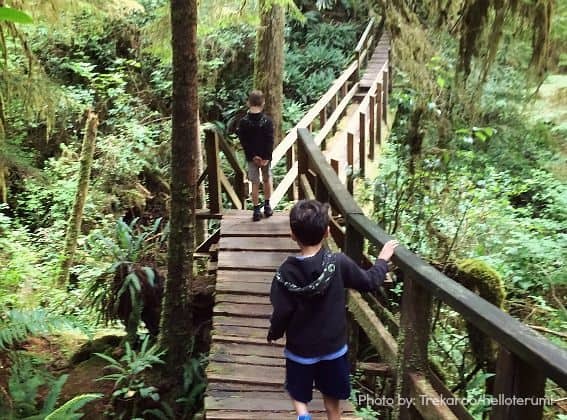 Many hiking trails here require a park pass (there are usually machines to purchase them in parking lots) and there are many short trails like the Rainforest Trail that are family-friendly. Be sure to pick up a kids park discovery booklet at the Pacific Rim Visitor Center. Fabulous restaurants and food-trucks like Wolf in the Fog, Tacofino, and Sobo leave bellies full (and have kid’s menus!) while eyes take in gorgeous coastal sights like bright red lighthouses signaling through eerie foggy mornings and spectacular sunsets lighting up after-dinner beach walks. There are many hotel options here from the world-class and spendy Wickaninnish Beach Resort to the beach-side Bella Pacifica Campground. The Pacific Sands Beach Resort is a very family-friendly property and it’s on a fabulous beach too. 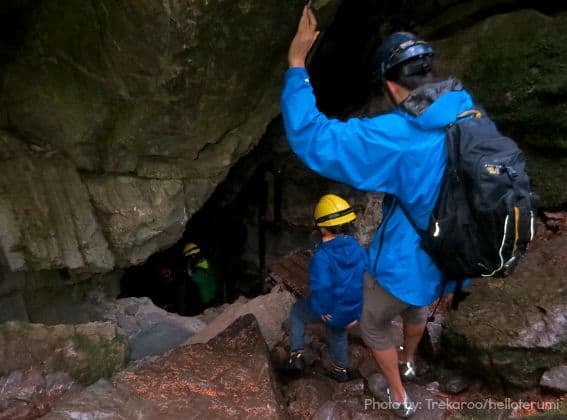 You might not want to come home after your adventure on Vancouver Island. Terumi Pong lives in Seattle with her husband and twin seven-year-old boys and travels often to Vancouver, BC to see family and friends. She has a weakness for animals, coffee shops, cute stores and can find a tasty bakery anywhere in the world. When she's not driving between lessons and sports games, she adventures the world with her family and she blogs about their finds at www.anemeraldcitylife.com and you can find her on Instagram @helloterumi too.